Hair loss is actually a common condition around the world. It is a problem feared by both men and women. It is no surprise to see this in Singapore as well! Most hair loss sufferers have no idea why their hair started falling out. It could be receding hairlines, thinning hair or bald patches. People who suffer from hair loss may choose to undergo hair loss treatments to help improve their appearance. These procedures can be costly. To help with the fees, one can apply for financial help with a hair loss loan. Nonetheless, the first step to solving the problem of hair loss is to find out the root cause of the problem. Well, there are many reasons why even youthful Singaporeans may end up losing their hair. The process of child birth has been known to cause thinning of hair and also loss of the hair line. New mothers should not be surprised if they experience some hair loss immediately after delivery. The normal stress of life tends to take a toll on the body, and this includes the hair. High stress levels leads to hair loss. Certain hormonal imbalances are known to cause a myriad of problems. Hair loss is one of the consequences of hormonal imbalance. This is especially true for females who may sometimes have too much or too little hormones. This is one reason why a female should get a routine check if she experiences hair loss. Sometimes, hair loss is due to a person’s genes. If a parent suffers from hair loss, then there is a chance that the children may also experience it. This can also be true in cases where one begins to bald at a young age. Generally, the genes of early balding can be passed on through generations. When one gets a fungal infection such as ringworm, it tends to eat away the hair and leave a bald patch. When one notices a fungal infection, especially on the scalp, he or she should seek medical intervention first to clear the infection. After fully treating the infection can the hair loss problems be handled. There are some medications that result in hair loss. An example is cancer treatment, especially chemotherapy, which is known to cause severe hair loss. Lost of hair during the treatment is unavoidable. Other medications that may cause some hair loss are hormonal contraceptive pills. As the patient handles the hair loss problem, he or she should also seek to solve the root problem of the medication causing the hair loss. There are some scars and injuries on the head that could result in some baldness. Before the patient chooses to get hair loss treatment done, he or she should ensure that the injury has completely healed. The hair loss treatment method chosen should also be one that is safe to be used on an area that has had a previous injury. These areas tend to be more sensitive and require more care. Hair styles that cause the hair to be pulled excessively such as braids and other similar types of hair styles cause the hair to weaken and eventually begin to fall off. One common hairstyle is a ponytail or bun that is held up too tightly, straining the roots. Once the patient has gone for hair loss treatment, he or she should then follow it up by changing from the hair styles that caused the hair loss. This is to prevent hair loss from recurring after treatment has completed. With the emphasis on trends and looking good, more people choose to dye and style their hair and some of these processes are harmful for their hair. They may bleach their hair to get ash grey colours, dye their hair red or perm their hair for large curls. Some hair chemicals, including relaxers, bleaches, and some hair colours, are known to contain chemicals that are too harsh for scalps. This eventually results is hair loss. The patient should be able to determine which particular product caused the hair loss, after which he or she should discontinue the use of the product. This will ensure that the hair will not be lost again after doing a hair loss treatment. Those who love to eat plenty of starch and do not include enough protein in their diet are more likely to have hair loss. One needs to have a balanced diet so as to be assured of a healthy and full head of hair. Those who face balding because of poor eating should improve on their diet immediately, before they go for hair loss treatment. Foods that are high in protein include seafood, beans, soy, chicken breast, tofu, edamame, eggs and broccoli. This is a long-term plan that will help the applicant to remain with a head full of hair. There are certain illnesses and conditions that lead to hair loss. Thyroid sickness, diabetes, and anemia are examples of sicknesses that can cause the patient to lose hair. It is important that the patient gets full medication for his or her condition. In cases where the medication is to be used over a long period of time, the patient must adhere to all the terms and conditions given. After getting proper treatment, the patient can go then go for the hair treatment because he or she will now be able to stop the hair loss and to maintain the new hair that has been transplanted. Some of the people in Singapore who suffer from hair loss might not have enough funds to finance a hair loss treatment. Financial advisors often advice individuals to have at least three to six months of emergency funds in case of financial emergencies like retrenchment or illnesses. These emergency funds should not be used unless it is really urgent. To source for funds for hair loss treatments, one can see help from their friends or family though this may sometimes be challenging. There will be the risk of ruining or straining relationships. An alternative for people who need help in Singapore is to acquire hair loss loans. These are accessed just like any other type of personal loan and it will be best to get from licensed moneylenders. Look around the different licensed moneylenders in Singapore and compare to get the best rates. What are the Benefits of Getting a Loan to Battle Hair Loss? Most hair loss loans are simply personal loans that are personalized for hair loss treatments. Therefore, the approval time is very short and the patient will be able to have access to the funds quickly and efficiently. It usually takes less than 24 hours for the loan to be approved if all the required documents are submitted. This is as opposed to trying to source the cash from family and friends who may not be willing to lend the cash, or may not have the full amount required. Most personal loans, which are usually hair loss loans, do not need collateral. They are known as unsecured loans and therefore, it is much easier for the borrower to access this credit to get the hair loss treatment that is needed. You do not need to provide assets such as cars or houses for the loan. Hair loss loans tend to have flexible terms and conditions. Every individual will have their own set of treatment plans and funding required. The requirements for this type of loan varies for each financial institution. It is possible for the borrower to negotiate with the lender and reach an agreement where both parties are satisfied. Whichever lender the borrower chooses should be licensed and approved by the Ministry of Law. When a borrower gets a loan for the hair loss treatment, there is the advantage of being able to access the full amount needed in one lump sum. This is beneficial because the hair loss treatment can be done in good time and they can choose the best treatment package for themselves. The borrower does not need to undergo the pressure of getting small amounts from family and friends so as to try and raise the full amount. The borrower can have true peace of mind after getting the hair loss loan. He or she will be able to sort out the problem of hair loss before it becomes very critical. The patient will also be emotionally stable because his or her appearance will be restored. A hair loss loan is not very difficult to access in Singapore. 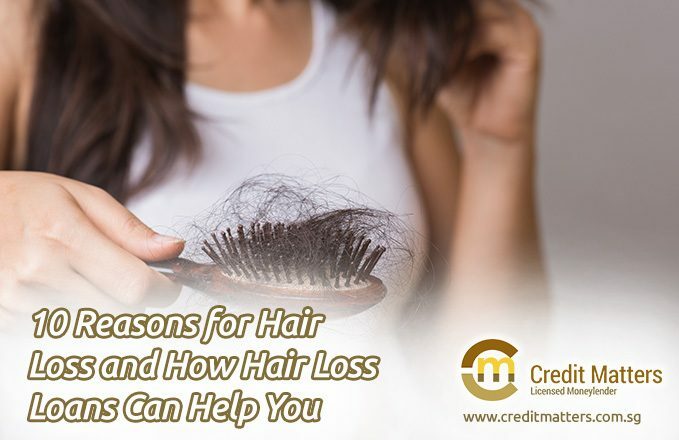 Individuals can research more about hair loss treatments and loans. The benefits listed above are good reasons for a patient to apply for this type of loan when needed.  If you have any questions about hair loss loans or require any form of financial help, feel free to speak to us. Credit Matters have friendly consultants here to help you.